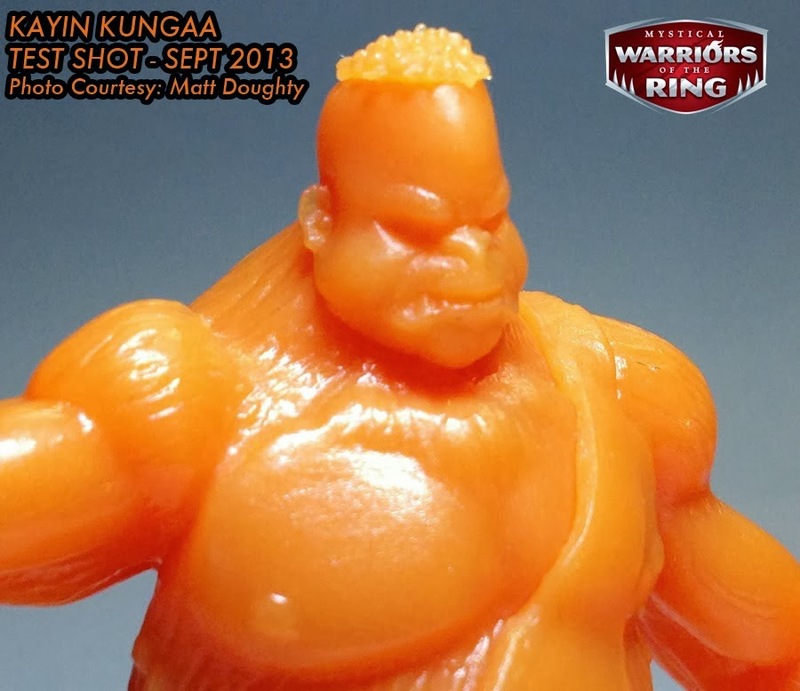 Ironhaus Productions OZ: PRESENT - 'Mystical Warriors of the Ring' Figures - NOW IN PVC!! PRESENT - 'Mystical Warriors of the Ring' Figures - NOW IN PVC!! If you're into indie toys, chances are you've probably heard of Mystical Warriors of the Ring by Fantastic Plastic Toys. If you haven't, MWOTR is an independent line of mini-figures about 2" tall, monochromatic and non-articulated, & in the same vein as classic lines from the 80's-90's such as M.U.S.C.L.E/Kinnikuman or Monster in my Pocket. 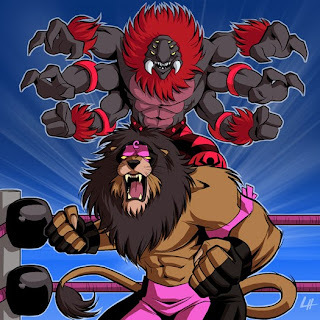 The figures themselves are anthropomorphic animal wrestlers guys & theres a nice variation amongst the characters. I believe the designs were rendered in 3D first, and then prototypes were created via the marvels of modern 3D printing. Is this the future of toy making? So far Im loving what I see. Originally cast in Resin, MWOTR have made the exciting switch to PVC rubber! This is great news for anyone who actually plays (or lets their kids play) with their toys, since resin can be kind of brittle and PVC rubber is extremely durable and holds up incredibly well over time! Another sweet added bonus is that the O'nell Design Factory are now producing these amazing figures at a fraction of their former resin prices! Happy, Joy! Pictured here are the new figures available in Wave 1, in both flesh and a 'candy apple' red colours (the orange was an unreleased test shot). They retail for US $9 for a pack of three (+ shipping) and are available at Truecast Studios NOW! 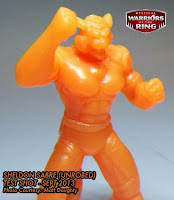 The three figures included in Wave 1 are Widowmaker the Spider, Sheldon Sabre the Tiger (unrobed version) & Kayin Kungaa the Gorilla, all of which are previously unreleased figures! Recently these figures Debuted at NYCC, and this is the first time they have been available online so don't miss out, and show some support for this breathtaking new line of collectable mini-figures! Who knows what may be in store for MWOTR's future, so the better these guys do now the more cooler stuff we get down the road! It's a win/win. These figures really are incredible, and have been a little difficult to buy in the past (especially if you live outside of the US and cant make it to any comic cons) but hopefully that changes now that they're available in PVC! Seriously, how can you go wrong with $9 for 3 figures? 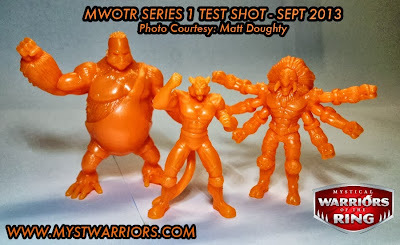 As far as keeping up with news on past, current and future MWOTR releases, I always head to the trusty Little Rubber Guys forum and keep an eye on the MWOTR thread there. I suggest you do the same. Im excited to see which colours get released next, and I'll most definitely be covering it here on my blog at some stage. Note: I am not the photographer of any of these pictures, and have used them from various sources on the internet. If you see your picture here and you want it removed from my blog, just contact me and I'll remove it. Thanks. Just got a set of these in PVC. They're great! Very MUSCLE-like. I picked up a pack of the candy apple red. I don't buy resin toys, but once they made the jump to pvc, I absolutely couldn't resist. Thats my favourite colour so far for sure. I agree the switch to PVC is a great move! Cant wait till we get Wave 2. PRESENT to FUTURE - UOVII cards are ready!